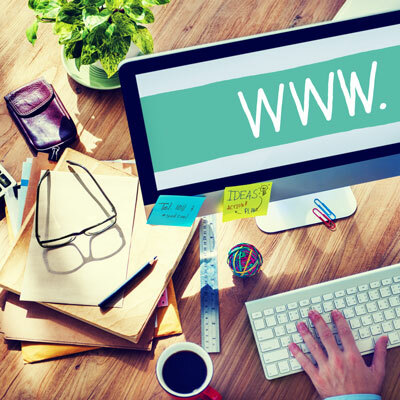 For most people, creating your first website can be both time consuming and confusing. If you aren’t very technically savvy, figuring out limitations and how it all works can become quite frustrating. Knowing the cost of having your own website can be a bit confusing as well. If you are pressed for time and on a tight budget, you may be tempted to use a web building application to save time and money. I know what you’re saying. If I can save time and money, then what do I have to lose? Yes. It’s true. You can save both time and money with web building applications. However, using an application like this can end up costing you more time and money in the long run. It can even cost you money. Most people that use web building apps aren’t aware of what it takes to stay on the radar, and how much it can affect you and/or your business. Once users create a site with a building app, they quickly realize that their website is practically invisible, making the website useless. So, no matter how tempted you are to use a web building application, don’t use them. It is never a good idea for businesses to build their own website. A lot of people underestimate the value of a good, professionally made website. Professionals report having to redesign websites that had poor content, uninformative content, poor design decisions, and no call to action. The appearance of the websites did not stand out, and they did not spark any interest. The internet provides thousands of different options for you to choose from. So if something doesn’t catch your eye, you will simply go on to a website that does. It is the same thing with your website. Your website has to be able to draw people in and maintain their interest. Websites built with a building application do not generally look professional, and most people will be weary of an unprofessional looking site. If you have very little knowledge of image editing, your website will have a big disadvantage. Images and graphics are an essential part of any website. Resizing, cropping, and optimizing images are vital to your websites success. If your images are not resized and optimized, it will cause your website to load very slowly. This can also dramatically affect your Google rank. Businesses that use a DIY method to build their website are unaware of how much Google rankings can affect their website. Therefore, the website will not be successful. A website built with a generic site builder will most likely not do well with search engine rankings. So it’s important to remember that you get what you pay for. You may save a little time and money, but your website will inevitably fail. Most business owners have too much to lose to apply a method that is ineffective, and can cost them perspective clients.